Home > VISIT US AT PEFTEC THIS WEEK! VISIT US AT PEFTEC THIS WEEK! Don’t forget to come and join ATi’s award winning team at PEFTEC this week in Belgium on 29-30 November! 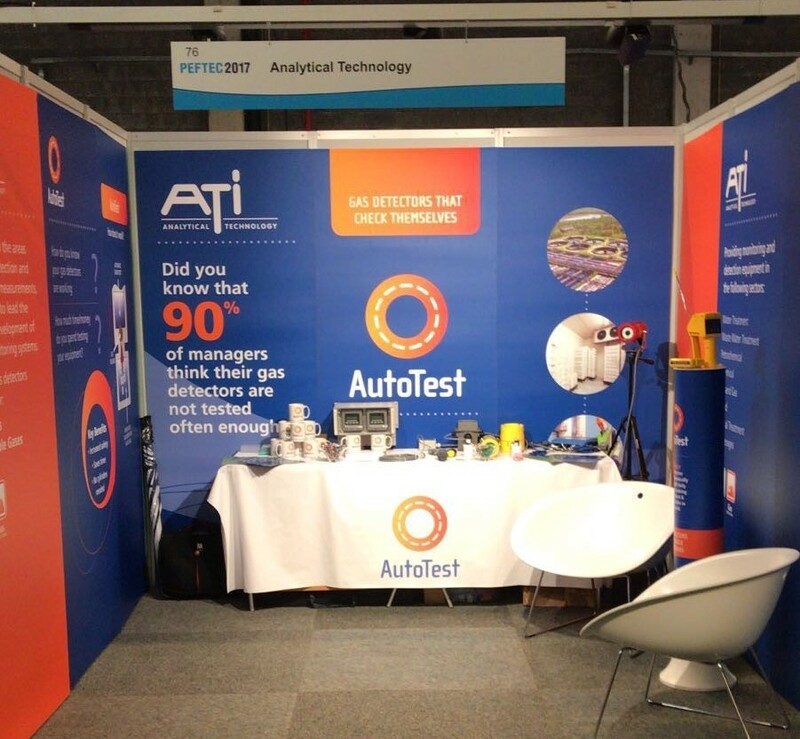 Visit us on stand 76 to see our pioneering monitors in action and listen to our very own Gas Mark 1 columnist’s presentation on AutoTest. PEFTEC features a high-level conference programme, over 80 free technical seminars and an exhibition represented by over 250 Instrument and Service providers. Topics and products featured at PEFTEC 2017 will include Laboratory testing and measurement, Petrochemical Analysis, Emissions Monitoring in air, water and soil, portable and field sampling, reference materials, oil analysis, calibration, International & Industrial Regulation, standards, Quality Assurance, Measurement Techniques & Technologies. End-users at PEFTEC will have the perfect opportunity to network, source and compare products, discuss applications and technology with colleagues and other industry experts. We believe that the UK water industry and our European gas customers have a lot to gain by joining us at the WWT and PEFTEC events this year. By visiting ATi, you will get the chance to see our market-leading monitors in action, plus we can discuss any solutions to application issues and catch up on the exciting times ahead involving our various new projects, initiatives, monitors and technologies. We look forward to welcoming you to our stands and if you would need any more details on where to find us, or would like to pre-arrange a time to meet with us, then please contact us on sales@atiuk.com. This entry was posted in ATi UK, Gas Monitoring, General, Monitoring. Bookmark the permalink.